PT Angkasa Pura II as the holding company of PT Angkasa Pura Solusi presents prime facilities to comfort airport users. This time the innovation is intended for passengers with baggage via the Concierge Express service. Concierge Express is a premium baggage handling service in the Terminal 3 of Soekarno-Hatta Airport. Unlike the basic service Airport Helper which provides limited number of personnel and trolley, Concierge Express ensures that every user gets service, both personnel and trolley according to the order. The order is carried out through the Indonesia Airports application which can be downloaded on Google Play (Android) and Apple Store (iOS). In this application, the Concierge Express service is within the eCommerce feature. Prospective customers will be asked to fill in information, such as meeting points (meeting locations) and meeting time. Reservations for Concierge Express services can be made from 48 hours (2 days) to 2 hours before service use. The payment method is done through a virtual account. 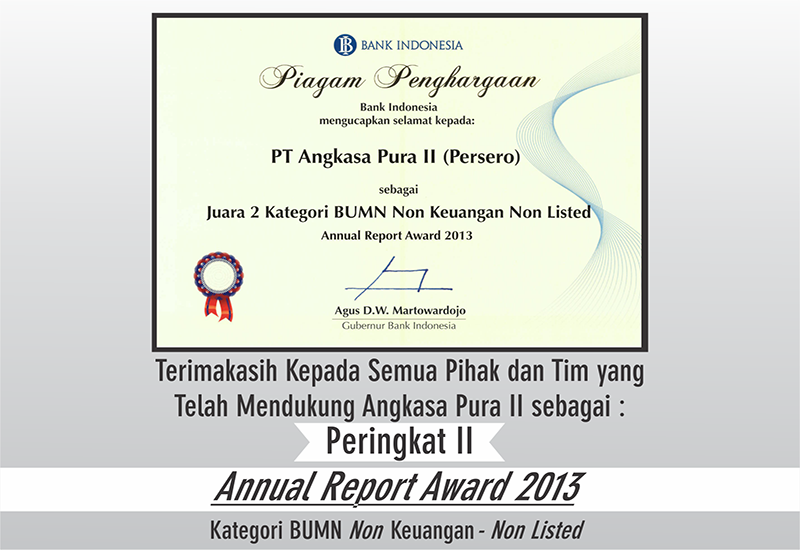 Currently, the Concierge Express has worked with BNI and Permata banks. During promo period in November 2018, you can enjoy Concierge Express services for free. After the promo period runs out, each order will be charged a tariff of IDR 70,000.00 per 3 pax (baggage) and for each excess baggage will be charged IDR 10,000.00 per bag. PT. Angakasa Pura Solusi "Serving the Best"
If your flight time is still long enough, why not enjoying airport digital cinema facilities located in the domestic departure area of Terminal 3, right next to the Travel Gallery. 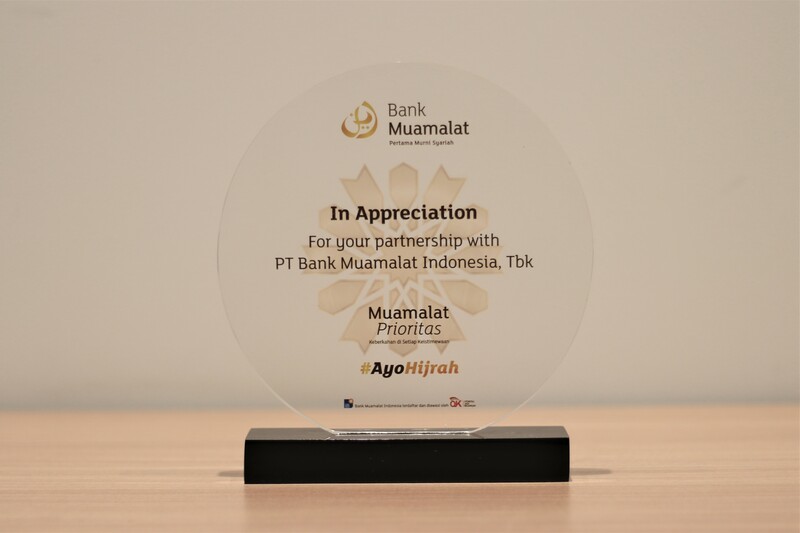 This entertainment facility was presented since February 2017 as a form of cooperation between PT Angkasa Pura II and PT Telkom Indonesia Tbk. Airport digital cinema has a capacity of 13 executive seats equipped with a wide screen and soundproof room. Visitors can enjoy world class films available. In one part of the room, there is also a private booth for visitors to enjoy Indihome features, such as TV on demand, video on demand, iflix, and catchplay through wide screen smart TV. Not only for movie fans, this airport digital cinema facility is also suitable for fans of games. You can experience your free time waiting for the plane by playing in the game station which is also in the airport digital cinema area. The extent of the Terminal 3 area often makes it difficult for passengers to reach the gate they are headed. In an effort to make it easier for passengers to move between gates, Soekarno Hatta International Airports provides 36 par car units or golf car assistance which are spread at several points in Terminal 3. 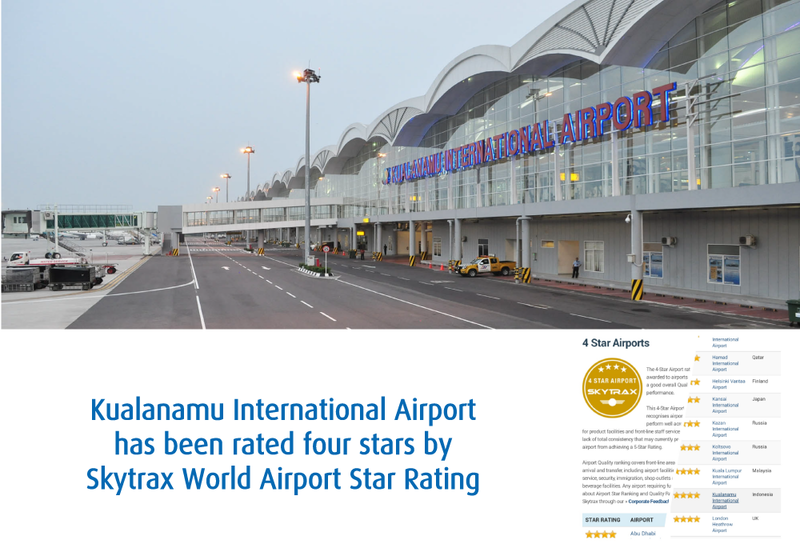 The location points are domestic departure area gate 15 and gate 13 (priority), domestic arrival area gate 24, gate 18, and gate 14 (priority), international departure area gate 9 and international arrival area gate 5. One unit par the car can accommodate a maximum of 5 passengers and the estimated availability can be monitored, either through the pick-up point monitor or the application of Indonesia Airports. This golf car service operates for 24 hours. No need to worry and feel bored while waiting for your flight at Terminal 3 of Soekarno-Hatta International Airport. Now you can spend time experiencing a variety of interesting facilities that can be relished for free. Starting from W-Fi services to Digital Cinema, all were presented by PT Angkasa Pura II as a holding company in an effort to boost customer convenience. Surfing in cyberspace while waiting for the plane to arrive is made easier by the presence of free wi-fi services available in Terminal 3. You can access internet connections with speeds around 50 Mbps in all areas of departure and arrival. As a complementary facility, a charging station is also available to charge your device's battery. Shower room can be the right solution for passengers who want to refresh themselves. Just walk to Gate 11, you will see the entrance to the shower room which is right in front of the Watch Zone. At the location, show the boarding pass to the officer and the booth is ready to use. There are a total of 8 (eight) rooms, 4 for men and 4 for women, each of room is equipped with facilities, such as shower, mirror, roll tissue, sink, hand washing soap, hand dryer, hangers, hot water, toilet seat and garbage bin. All facilities are available, clean and functioning. For those of you who like to read, there is a reading corner facility located in the Terminal 3 Domestic boarding lounge area. This beautiful and elegant mini library provides you with as many lines of interesting books as you can. This library facility is a manifestation of PT Angkasa Pura II's support for the Indonesia Reading program. 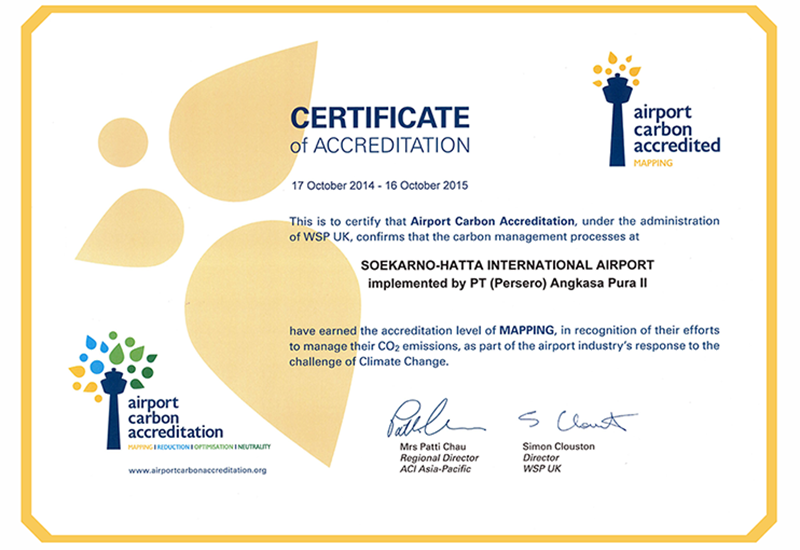 The Soekarno-Hatta International Airport always offers excellent service for every user of air transportation. One of them is when presenting a co-working space for business passengers to stay productive while at the airport. In the co-working space area, there is a long table with neatly arranged chairs equipped with free wi-fi services and electricity connections. 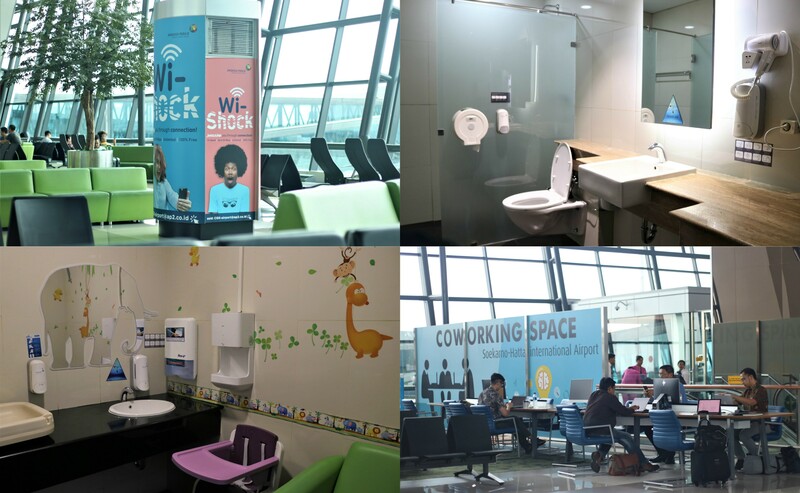 Co-working space is one of the services located at the Airport Digital Lounge. 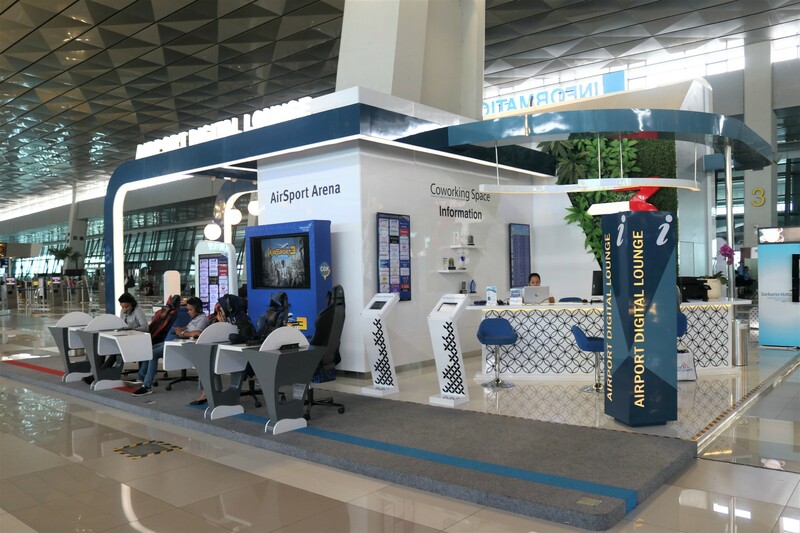 The Airport Digital Lounge is a one-stop digital-based information service that was inaugurated on August 11, 2018. In addition to co-working space, passengers can enjoy other digital facilities, such as self check-in counters, virtual assistants via chat bots, co-working space, digital wayfinding, travel reservations or accommodation, and official airport merchandise store. To improve customer&rsquos comfort especially for mothers and children in Terminal 3, the Soekarno-Hatta International Airport provides Nursery Room facilities located on Domestic Level 2 Points A and D. Inside the room, there are various facilities such as sofas, baby chairs, changing rooms diapers, air purifier, sink, dispenser, to ASIP bottle sterilizer (Dairy Breastmilk). Completeness of Nursery Room facilities is also supported by the condition of a clean and fragrant room and attractive interior design. With the presence of the Nursery Room, customers and airlines passengers, now have the option of a comfortable room to meet the needs of the child. In any Airport in general, there would be a security check points and especially in Indonesian airports there will be two security check points where airline passengers who wish to enter a safe and secured area at the airport must show their identity in the form of an airplane ticket, while for employees, an airport pass is required. Security Check Point (SCP) 1 is located at the boundary between public spaces and the check-in area. When you arrive at this point, you will be directed by AVSEC PLPB (Aviation Security - Traffic Passenger and Goods Officers) to walk towards Walk-Through Metal Detector (WTMD). If needed, the officer may conduct a Body Search examination. After checking in and getting a boarding pass, passengers are required to do a security check-up again at SCP 2. The location is right before entering the departure area or the Gate, a sterile waiting room. In SCP 2, checks are more stringent. Passengers are asked to remove all items, such as jackets, belts, watches and all made of metal to be examined through an X-Ray machine. 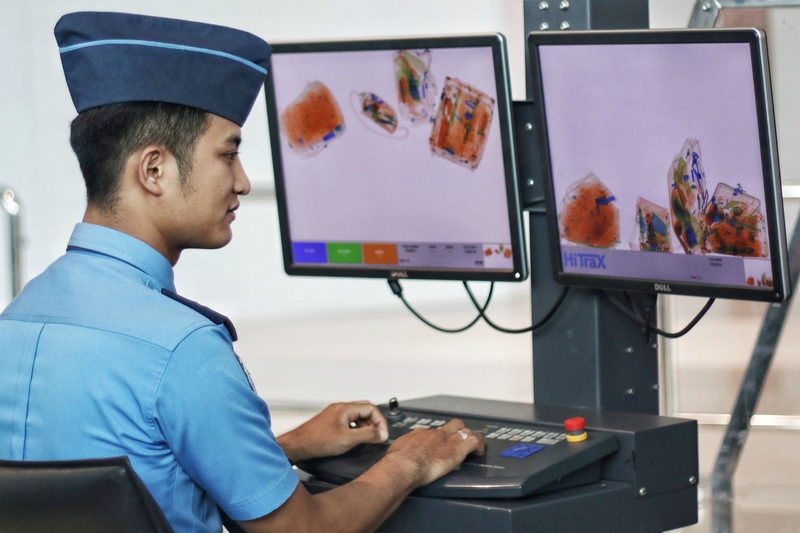 If the machine alerts a sound when a passenger passes a metal detector, the passenger will be asked to step back and be checked with Body Search method by AVSEC officers. When things were discovered inappropriate according to the rule and regulation, AVSEC officers had the authority to ask passengers to enter a special examination room. All body parts and passenger luggage will be thoroughly inspected. Checking passengers at airports in accordance with Director General of Air Transportation Regulation Number SKEP / 2765 / XII / 2010 concerning Procedures for Passenger Security Checks, Aircraft Personnel, and Default Goods Transported by Aircraft and Individual Persons. In providing Service Excellent for airport service users, PT Angkasa Pura II as airport service manager always strives to realize the 3S + 1C aspects, namely Safety (Safety), Security (Security), Services (Services) and Compliance (Compliance with applicable rules). One form of manifestation of this aspect is through the operation of Security Check Point (SCP). For those of you who plan to travel more than one day via Soekarno-Hatta International Airport and drive a private vehicle, you can use the Long Stay or Overnight Parking facility for your vehicle with 24-hour service. Long stay parking is the right solution for airline passengers who intend to park their personal vehicle for more than 4 (four) hours. In addition, in order to reduce the capacity and to speed up the flow of vehicles in the regular parking area, the long stay (overnight) parking can save on parking costs incurred due to differences in rates between Regular and Long stay Parking. If you use the Regular Parking facility for more than 4 hours, four-wheeled vehicles will be charged a parking fee of IDR 10,000.00 per hour. While by using the Long stay (overnight) Parking facility, airlines passengers are charged IDR 30,000. for the first 4 hours and a progressive tariff of IDR 6,000 per hour for the next hour. There are two ways that airline passengers can use this facility -- to make a booking for a Long stay (overnight) Parking slot. First by ordering and paying at the Long stay Parking lockets on the first day of use. Second, through online ordering by downloading the Indonesia Airports mobile application available on the Google Play Store and App Store. Through the Indonesia Airports mobile application, long stay parking subscribers register their vehicles by filling in relevant information, such as parking time and vehicle number plates. Before ordering, you can also calculate the rate that will be charged by entering the parking time on the "Calculation" menu. Payments are made by bank transfer within a specified time period. If during the period the customer does not pay the down payment, the order will be cancelled. The reserved parking slot will be obtained after the payment process is completed. For the convenience of the users of the Long stay (overnight) Parking service, PT Angakasa Pura Solusi also provides a shuttle car facility that will transport passengers directly to and from the terminal for free. 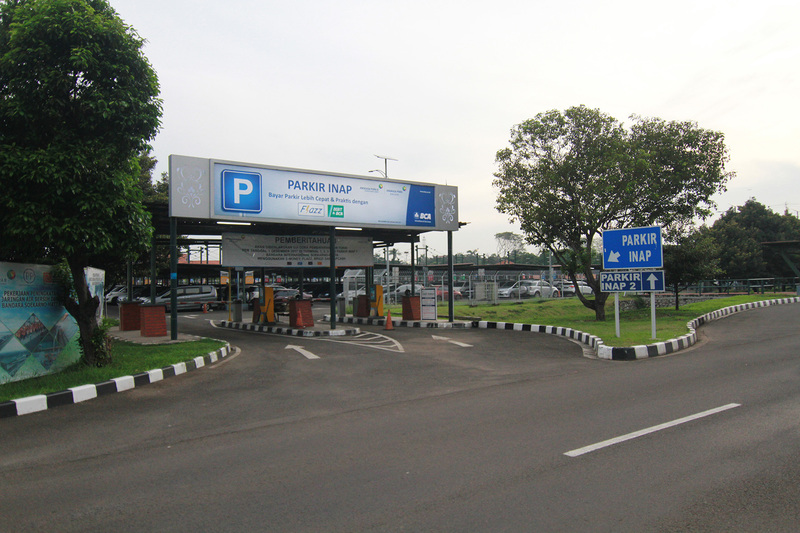 This parking facility equipped with 24-hour CCTV and security surveillance is located across the area of â€‹â€‹Terminal 1 (Inap parking 1) and right next to the Air Traffic Control Tower of Soekarno-Hatta International Airport. Shortly before approaching these two areas, there are road signs to make it easier for passengers to find the location of the Long stay (overnight) Parking. Make sure you do the check-in process at the appropriate airline counter. Prepare physical proof of the ticket or e-ticket along with the identity card to show the staff on duty. If you carry many luggage to check-in, please be ready to line up two or one and a half hours before departure. After the check-in process is over, passengers will get a boarding pass. To save time, use the airline's online check-in service. Usually online check-in can be done at least 24 hours prior to departure. Or you can use the self check-in counter at the airport. After receiving a boarding pass, pay attention to which gate is your flight. Follow the referral to go to the gate. If you have difficulty reaching the gate, ask for directions to the AVSEC officer or Airport Helper. Arriving at the waiting room, you have to be diligent in checking the announcement board to find out information on flight arrivals and departures, even if there is a change in the gate. Listen carefully to any information that is conveyed through the speaker. In order to improve the quality of your experience at the airport, download the Indonesia Airports mobile application available on Google Play and the App Store. You can get information about various airport facilities, such as flight info, airport transportation facilities, e-commerce to shopping centers. For those of you who have never been flying, boarding a flight for the first time can be an unforgettable experience. Incidents such as forgetting to bring a ticket, checking in late, luggage being held because they do not comply with the baggage requirements, even to miss a flight is very likely to happen. To avoid this, you can listen to a few tips on boarding the first flight below. Before leaving to the airport, make sure you bring the ticket, identity card (KTP), along with other related documents, such as a valid passport and visa for overseas travel. You can print the tickets or simply show proof of e-ticket on your smartphone to AVSEC (Aviation Security) officers before entering the secure area. When you have the tickets, pay attention to the departure terminal where your airline is located. For example Terminal 1A Soekarno-Hatta International Airport (BSH) is intended for Lion Air airlines, flights to Java, Kalimantan, Sulawesi, Papua and Nusa Tenggara. Terminal 2, Gate 3 is filled by KLM Royal Dutch Airlines and China Eastern Airlines. Whereas Terminal 3 is intended for Garuda Indonesia (domestic and international) airlines, Saudi Arabian Airlines, Vietnam Airlines, Korean Air, Xinamen Airlines, China Airlines, China Southern Airlines, AirAsia Indonesia (international), and Indonesia AirAsia Ex (international). Likewise, if you travel at other airports, pay attention to the airport terminal and departure time. However, there is no need to worry if you arrive at the wrong Terminal at Soekarno-Hatta International Airport. Free mode transportation facilities are provided by the airport, such as shuttle buses and Skytrain (hyperlink skytrain) you can use for inter-terminal trips. Ideally, airplane passengers must check-in one hour before departure. Taking into account the duration and distance of your trip to the airport, the potential for traffic jams, the length of baggage inspection and check-in process, you should arrive at the airport at least 2 (two) hours before boarding time. Before packing, make sure you find out the requirements of passenger flight baggage that have been set by the airport and airlines. Passenger luggage is categorized into 3 (three), articles that are prohibited from being taken to the aircraft, articles that enter checked baggage and are restricted and those are allowed to enter the cabin. Upon arriving at Security Check Point, AVSEC officers will thoroughly inspect prospective passengers with a Walk-Through Metal Detector (WTMD) engine and passenger luggage with an X-Ray machine. If needed, AVSEC officers will conduct an examination using Body Search. Before deciding to travel using airplane transportation, it is important for airlines passengers to know and understand the baggage regulations set by the airport and airlines. Every item carried by airlines passenger is grouped into several categories, such as prohibited articles, articles that go into the checked baggage and are limited, and articles that are allowed to be brought to the cabin. These items are not allowed to enter, either in check-in baggage or cabin baggage. Items categorized as goods that are dangerous to the safety and security of passengers, including explosives (all types of grenades, detonators, axes, explosive devices), chemicals or toxic substances (arsenic, cyanide, insect repellent), easy solid objects burning (fireworks, firecrackers), flammable liquids (fuel, paint, thinner, methanol), pressurized gases (propane, butane, aerosols), radioactive material and corrosive materials (mercury, sulfuric acid, alkali). The luggage that you don't need during the flight, for example a large suitcase containing clothes, should be included in the checked baggage. Each airline provides an average of 20-30 kg of free luggage. If more than this amount, you are required to pay excess baggage fees, the amount is different for each airline. In addition, there are also items that are rejected by the security forces but are allowed to enter into the checked baggage after being specifically registered with the check-in counter staff. These items, including knife-eyed or sharp-pointed objects, sporting goods and all types of firearms. Each passenger is allowed to carry one bag containing harmless items to be placed in cabin baggage and one small personal item outside the cabin, such as a handbag or wallet, pocket book, laptop, small camera or baby food. While for cabin luggage in the form of liquid, aerosols and gels are allowed to enter the cabin with several conditions. Liquid, aerosols and gels are stored in containers with a volume of no more than 100 ml. The container must be put in a plastic bag and each passenger is only allowed to carry a plastic bag. For more detailed information on the provisions of aircraft baggage, you can check directly on the official website of each airline. Since January 8, 2018, travelers heading to the Seokarno-Hatta International Airport can enjoy the Airport Railroad (Railink) service managed by PT Railink. Railink's innovation adds to the option of public transportation facilities that make it easy for airlines passengers to access the airport. PT Railink developed an integrated service system in the management of two stations connecting the Jakarta - Tangerang route. The two stations are BNI City Station (formerly called Sudirman Baru Station) in center of Jakarta and the Airport Railway Station at Soekarno-Hatta International Airport. If you are interested in riding Railink services, you can take public transportation such as Transjakarta and commuter line (KRL) to get to BNI City Station. For KRL users, you can get off at Sudirman Station. After that, use the exit on the platform towards Tanah Abang and walk through the tunnel about 20 meters. As for you Transjakarta users, you can go to the Tosari Stop and Dukuh Atas 1 or 2 Stop. Regarding the facilities offered, passengers can freely take advantage of all available Airport Railroad facilities. In each passenger seat there is a USB charger port. The 272-seat railink is also equipped with four 50-liter luggage storage racks, two LCD TVs and a wi-fi network. There are currently 80 departures every day. First departure through BNI City Station at 04.51 am and last departure at 09.51 pm. While the first departure is through the Seokarno-Hatta International Airport Station at 6:20 am and the last departure at 11.20 pm. In addition to the ticket counter for cash payments, you can buy tickets using a vending machine that accepts payments either with debit cards, credit cards or prepaid cards. Currently the tariff charged for the BNI City Station route - Soekarno Hatta International Airport Station is IDR. 70,000.00 per passenger. Not only in Jakarta, airport train services are also present in several cities, such as Kualanamu (Deli Serdang &ndash North Sumatera), Padang (West Sumatera) and Palembang (South Sumatera). For more complete information about Airport Railroad services, you can check it through the official website i www.railink.co.id. 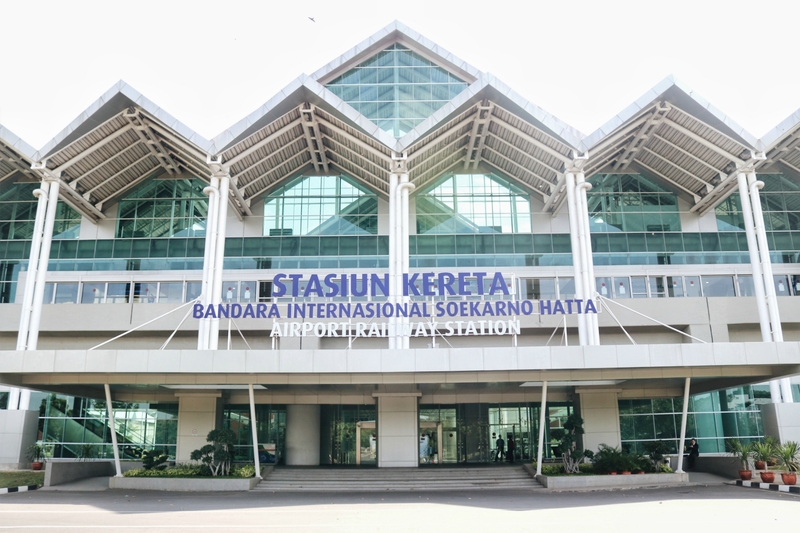 The inter-terminal mobility of airline passengers of Soekarno-Hatta International Airport is facilitated by free transportation services provided by PT Angkasa Pura II (Persero). Before the Skytrain facility operated in 2017, passenger option only fell on the airport Shuttle Bus. This free Shuttle Bus goes around delivering passengers from Terminal 1, 2 to 3. For passengers who want to use this facility, you have to wait in the outside area of â€‹â€‹the terminal with the signage "Shuttle Bus Service". The Shuttle Bus will only make a stop at the point of the shelter. There are two types of Shuttle Bus operating at this airport, the Lower Deck and minibus types. Friendly Lower Deck types are used for persons with disabilities and passengers with excess baggage. The bus entrance is designed not too high to make it easier for passengers to enter the bus. The bus officer is also always ready to help passenger luggage. This free Shuttle Bus service is also available from and to the Transit Oriented Development (TOD) area at Gate M1 at Soekarno-Hatta International Airport. The shuttle service is divided into 2 (two) zones. Zone 1 serves the trips of Terminals 1 and 2 without passing through the Airport Train Station and office area. While Zone 2 serves the purpose of Terminal 3, after previously stopping in front of ACS (Aerowisata Catering Service), Immigration Stop, Cargo Roundabout Stop and Terminal 3 Gate 3. Before boarding, make sure you have adjusted the bus departure schedule and flight departure time. 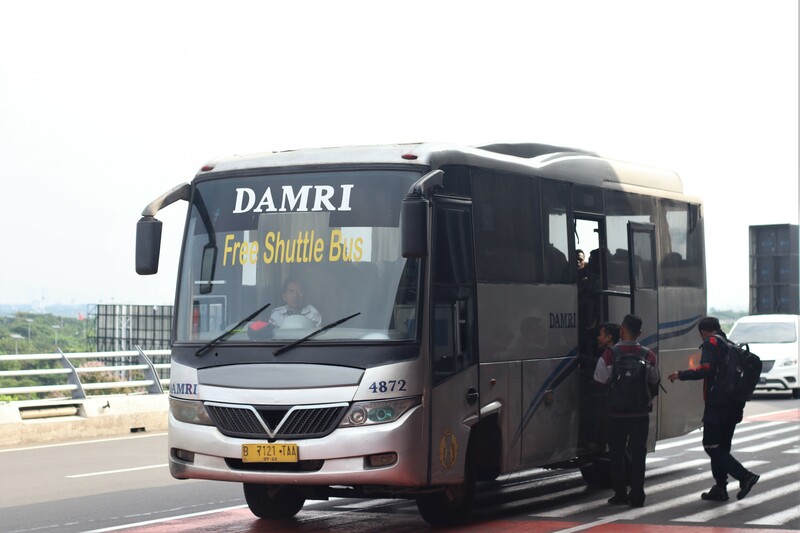 The Shuttle Bus at Soekarno-Hatta International Airport operates for approximately 12 hours per day -- with a time interval of every departure for 5-10 minutes and the intermittent travel time reaches 15-20 minutes. For airline passenger's comfort, PT Angkasa Pura II as the parent company is committed to renewing the range of facilities in the area of Soekarno-Hatta International Airport. One of them is the mobilization of passengers between terminals at Seokarno-Hatta International Airport, Cengkareng. In addition to use the Shuttle Bus facility, since September 17, 2017, airlines passengers can enjoy free alternative modes of Skytrain (elevated train) for interterminal mobility. 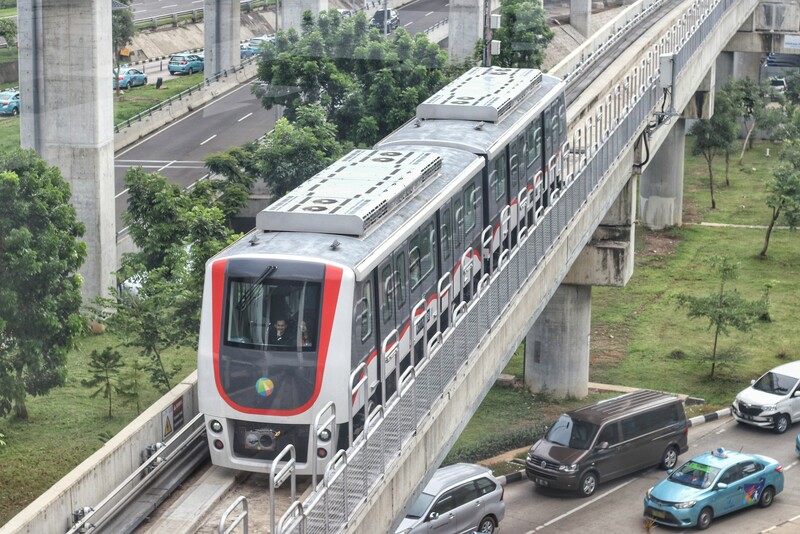 Skytrain is an unmanned mode of transportation using the first automated guideway transit system in Indonesia, especially at Soekarno-Hatta International Airport. This Skytrain facility which has a capacity of 352 passengers connects terminals 1, 2 and 3, at Soekarno-Hatta International Airport. An elevated train that can reach a maximum speed of 30 km / hour operates for 20 hours per day. Starting at 04.27 am until 01:17 am. Passengers can check the departure schedule in the waiting area of â€‹â€‹each shelter. If you feel uncertain about the route and time of departure, the security and Airport Helper around the shelter area will be ready to assist. More practical, you can download the Indonesia Airports mobile application and check the Skytrain's full schedule directly. Not only that, the Skytrain also provides Railink services for airport passengers on the Airport Train Station - Sudirman Station route. Tickets of IDR. 70,000.- can be purchased through a vending machine that only accepts payments with debit cards and credit cards. You can enjoy Railink services starting at 6.20 am up to 11.30 pm with a departure time interval of 30 minutes. Currently, the Soekarno-Hatta International Airport has 6 (six) trains (trainset) that operate dual tracks (tracks A and B) with a 3.07 km long track. 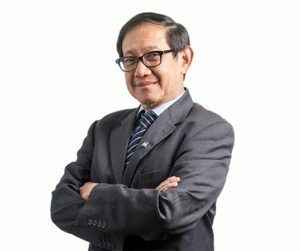 In the future, the speed of the Skytrain will be added from the headway which was originally 13 minutes to 6 minutes so that the train frequency will increase. In addition, the track will also be extended to the Terminal 4 development plan in the Soewarna Gold area and the Sky City commercial area. The position of the Skytrain shelter in Terminals 1 and 2, is outside the terminal area. While at Terminal 3, the location of the shelter is on the 1st Floor which is located between the Ground Floor and the 2nd Floor of the terminal. Lone traveler has become common for most airport service users. 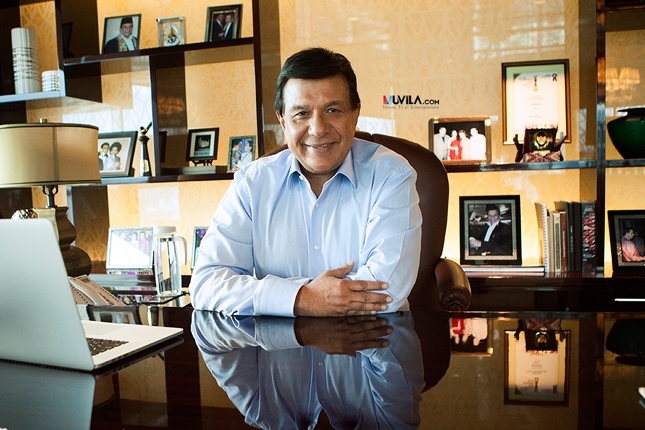 Whether it is for business or private leisure trips. To save time and energy, a solo traveler also chose to use public transportation to and from the airport. One of the most commonly used modes of transportation is taxis. For those who have used conventional taxi services at the airport, surely you know that you have to be patient enough to face a long line of queues. If you are being hunted for time, this method is certainly not efficient. To answer this problem, PT Angkasa Pura Solusi offers an airport taxi booking online facility through the Smart Taxi feature. This effort is to increase the convenience of airport service users. The Smart Taxi feature available in the Indonesia Airports mobile application allows airport passengers to order the type of taxi they want, anytime and anywhere. To order is very easy. After downloading the Indonesia Airports mobile application and creating a personal account, on the "My Transport" menu select the "My Taxi" feature. Then, determine the location of the Terminal where you are at that time. Then a display will appear showing the different types of taxis that you are free to choose. Complete with information about the number of taxis available and the number of queues left. Queue numbers will get passengers shortly after placing an order. By ordering Smart Taxi, you no longer need to wait long in uncertainty as well as when ordering a conventional taxi offline. The Indonesia Airport mobile application can be downloaded on Google Play for Android and App Store users for iOS users. I think Saphire is amazing! it save my time, especially as an always busy person I always come to airport last minute, and if I come back, it is very convenient to use it avoiding the long immigration queue. When I Heard about Saphire, I was very curious about it. I made an enquiry and got the card. I feel it is very convenience for frequent travelers such as me. To use the Saphire card it's not only the formality of passing through immigration very fast and with no need to fill in form at the airport, but it's convenient also as it allows you to pick-up and drop off in reserved areas because sometimes it's very difficult to park you car at the airport. I think what Saphire is offering now is already.